Election Resource Centre has encouraged citizens to participate in the formulation of electoral reforms which will enable them to get the election they deserve. Election Resource Centre is a civil society organisation whose mandate is to provide credible information, strategic services and deliberative platforms that aim to improve quality of democracy and elections at all tiers of Zimbabwean society. 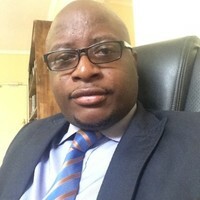 Speaking at a Press Conference in Harare Election Resource Centre Executive Director Tawanda Chimhini said that citizens must hold those in authority accountable. The ERC launched a post-election follow up initiative campaign called #Sesingaphi, #Tavepapi, #howfar. The campaign thrust is to address issues on how far the country has progressed in terms of reforming the Electoral Act which was previously noted by International Observers as not aligned to the Constitution. Citizens’ inclusion in policy making for election is very crucial as it will enable the country to yield a credible election. Citizen must move from the phase of being passive voters to active citizens.